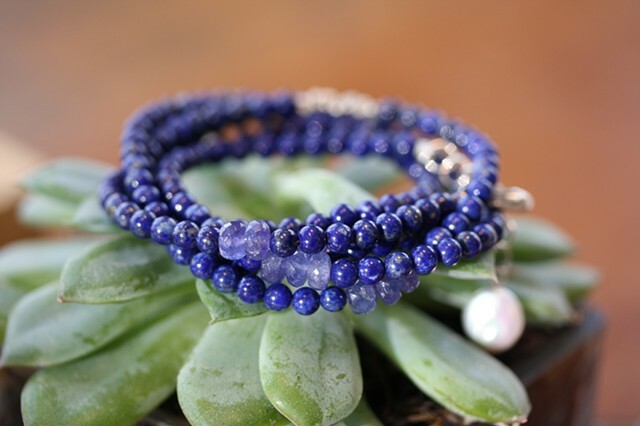 Lapis 4mm beads with tanzanite and silver accents long enough to give you a 5-strand wrap or a beautiful long necklace perfect for layering or wearing alone. Approx. 37"